Solar installations in the United States are booming, with 2015 predicted to be the best year so far for solar energy, and the last quarter of the year is expected to be a record-breaker, according to data from the latest US Solar Market Insight Report from GTM Research and the Solar Energy Industries Association (SEIA). According to the report, the US installed some 1,361 MW of solar photovoltaic (PV) capacity in the third quarter of 2015, marking the eighth consecutive quarter that the US has installed more than 1 GW of solar PV capacity. That’s a huge jump from the solar installation figures from just a few short years ago, and this increase in capacity is only the beginning, as the cost of solar panels continues to drop, accompanied by reductions in the so-called soft costs of solar installation. For the current period, the fourth quarter of 2015, the report from GTM Research predicts that it will be “the largest quarter for solar installations in U.S. history,” with the utility-scale solar sector expected to install more than 3 GW of solar capacity. Utility-scale solar installations account for about 42% of the nation’s solar capacity, and residential installations make up 41% of the total, with the home solar installation figures for the third quarter of 2015 showing a growth of 69% in year-over-year comparisons. 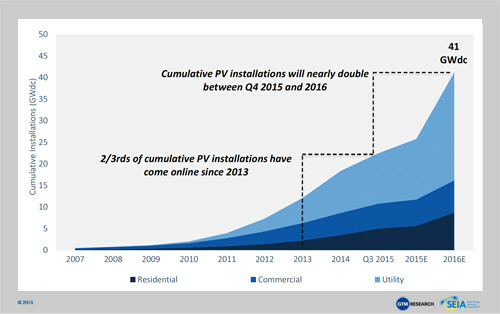 The 2015 US solar PV market as a whole is expected to reflect a 19% growth over 2014’s figures, and the report also predicts that the cumulative solar installations will “nearly double” from now through the end of 2016, which will equal an expected cumulative installed solar capacity in the US of 41 GW. Non-residential solar will dip by 5% for the second straight year, even as both residential and utility solar PV sectors are expected to grow. 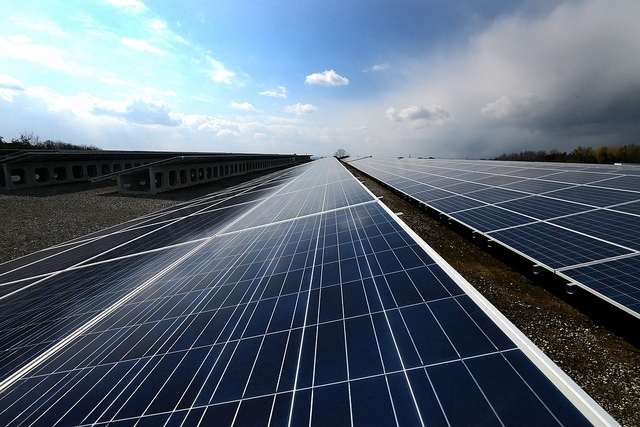 Find out how you can get in on the booming solar market today!